I do not share this post with the intent of patting myself on the back, but rather to start a discussion that is long overdue. A spot on shot from a recent 3D archery shoot. 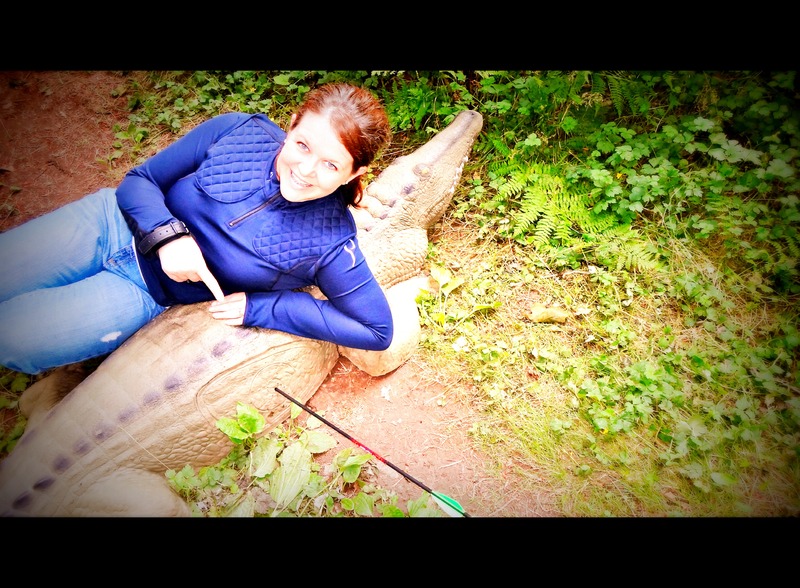 This afternoon I took a break and headed down to the archery range. It was packed and, of course, I was the only lady in the house. I shot my first group (which was pretty darn impressive, if I do say so myself). The guys on either side of me both commented on how “lucky” I was. I just smiled and thanked them for their kind words. They proceeded to comment on my bow set-up and how I really needed to upgrade my site and rest. I responded simply, “Well, it works for me and if it isn’t broken, why fix it?” “Fair enough,” they said, but cautioned I would shoot better with better equipment. I made my way back to the line and shot my second group, which was even tighter than my first. I heard comments echo throughout the room, “Dang, she’s lucky.” Of course, I am thinking to myself that it is more than luck. I account my successful shooting to skill, practice and determination. I continued to shoot, and shoot well. After the fifth round, one of the guys loudly belts out, “Holy $h!t the girl can shoot!” To this I simply responded with a smirk, “If it isn’t broken, why fix it?” The room was silent. Not one of them could respond. Why is it that women are so easily discounted, especially in the hunting and shooting world?